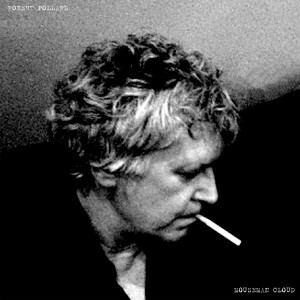 In the time it takes you to read this Robert Pollard will have written and recorded three brilliant albums and disbanded Guided By Voices again. 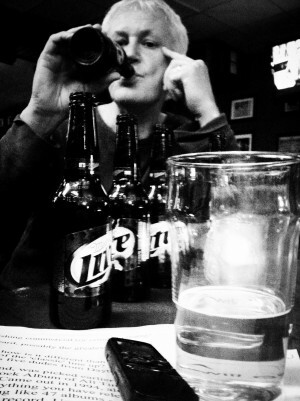 MAGNET stages a Beer Summit to find out how and why. No light or air or hope gets past the front door of Desmond’s Tavern, a grungy windowless taproom in midtown Manhattan that looks like a VFW hall crashed into a sports bar and smells like a frat house at low tide, and the afternoon crowd seems to like it that way. They like to do their drinking in the same place the fly got smashed. With its tobacco-cured walls, expansive array of Anheuser-Busch products and classic rawk on the jukebox, it’s the closest thing to a Dayton dive this far east of the Buckeye State, which is no doubt why it was selected to host MAGNET’s summit with the clown prince of the menthol trailer park, aka Robert Pollard, the mic-swinging, high-kicking, Bud-swigging past-present-and-possibly-former frontman for Guided By Voices. We must count our blessings, an audience with Pollard is a rare thing these days, he hasn’t granted an interview in three years. For most MAGNET readers, Pollard needs no introduction and space is in short supply so I will be brief. But if you are new to the Pollard saga, know that he is hands-down the most gifted, beguiling and, by a wide margin, prolific songwriter of the indie-rock era. By his own count he has released upwards of 80 records, including 20 Guided By Voices albums, 19 solo albums and countless LPs, EPs and seven-inch singles from his endless string of one-off collaborations and side projects, among them Boston Space Ships, Airport 5, Circus Devils, Acid Ranch, Lifeguards, The Moping Swans, Lexo & The Leapers, Hazzard Hot Rods and Howling Wolf Orchestra. MAGNET’s interview with Pollard was occasioned by the release of Honey Locust Honky Tonk, his 19th solo record and arguably his best to date. We begin with Pollard dropping the bombshell that he has grown bored with the reunion of the so-called classic line-up of Guided By Voices after four albums and a couple tours and may well pull the plug on it, at least as far as making new albums is concerned. But fear not, my droogs. Even if that happens there will be plenty of Pollard to go around. The Fading Captain is a lifer. He shoots himself with rock n’ roll. The hole he digs is bottomless, but nothing else can set him free. ROBERT POLLARD: Honey Locust Honky Tonk is basically the songs I wrote for the next Guided By Voices album, but I’m not sure there’s going to be a next Guided By Voices album. I’m not gonna say for sure, but it’s already got a little bit stagnant. To me it’s kind of run its course. ROBERT POLLARD: We did a lot within the course of two or three years. ROBERT POLLARD: Four albums. First, it was a reunion tour and then it was a proper tour, supporting a new album. But now I’m thinking, probably, I’ll relegate [GBV] to the festival circuit, you know? People at festivals don’t want to hear a new album they want to hear the greatest hits. And I’m not that interested in that. I’m more interested in what comes next. MAGNET: I think the consensus opinion of the post-reunion albums was that you were putting your poppier stuff on your solo records and your more experimental stuff on the GBV records. Is that true? ROBERT POLLARD: Well, you know, to me, I don’t know if that’s true. What I thought is I was putting my more mature stuff on my solo record because it has a name of a person and some of my less mature stuff with the band name because you can do whatever you want, there is no age limit. 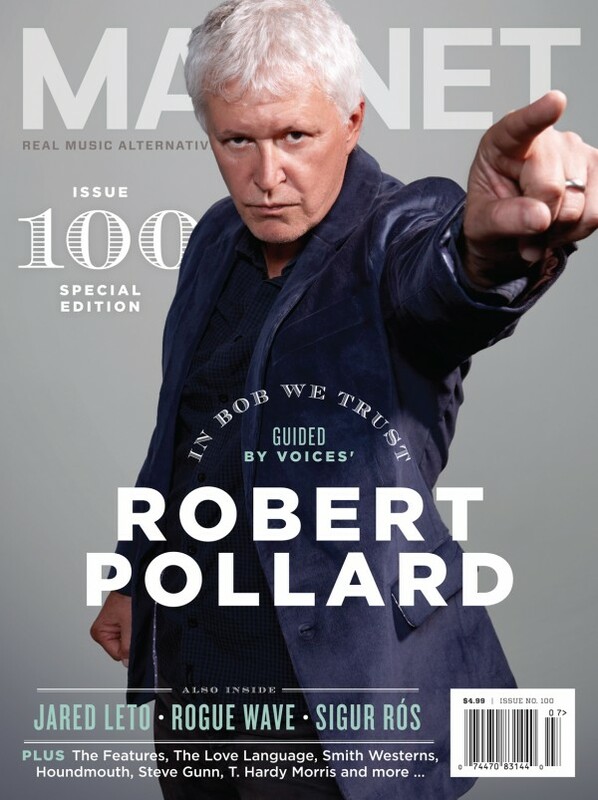 Robert Pollard is fifty-five years old, but the singer for Guided By Voices is whatever. MAGNET: Your rate of releasing new material is just astonishing, and it’s only gone into overdrive in the last five to 10 years. ROBERT POLLARD: In the time it takes some of my contemporaries to put out two albums, I will have put out 30 albums. That’s pretty ridiculous. MAGNET: It overwhelms people. People feel like they can’t keep up. ‘I lost track.’ I hear this all the time from people, especially when I mention that I was going to interview you. People were saying that to me back in the early ‘90’s and it’s only gotten worse now that you’ve put out a gajillion records. It’s kinda like trying to swallow the ocean. ROBERT POLLARD: That’s what I do. I love to write songs, I love to write songs. You can’t turn it off, because you don’t want to turn it off. If you turn it off, maybe you can’t turn it back on. MAGNET: What do you say to people who tell you you’re oversaturating the market? ROBERT POLLARD: Well, first of all, I work at a very strong pace. I’ve been putting out much to the chagrin of people — a lot of people say that ‘I dilute my genius’ — genius is their word, not mine, by the way. But I disagree because that’s the way I work and I’m afraid to not do it that way, I’m afraid to turn if off because I’m afraid that I wouldn’t be able to turn it back on, you know? MAGNET: But what if — just to play the devil’s advocate here — what if you wrote and recorded songs but didn’t put them out as quickly as you do? ROBERT POLLARD: Well, I’ve done that. You asked me how do you choose, well for the most part, I’ve been doing it for so long, I’ll have a batch of songs and that’s pretty much what they’re gonna be and they all make it. But occasionally, some of them don’t. One time I finished an album and I went to this bar and there was a band playing. And there were all these middle-aged women up there dancing to it. I started kind of just daydreaming and gazing and second-guessing myself about what I just did. I was watching the dancers and I was like, ‘Would they dance to my new record? Would they be dancing like that?’ and the answer was yes. Yeah, they would dance to it. So I got rid of the whole thing. ROBERT POLLARD: That’s probably five years ago, that count was probably five years ago. ROBERT POLLARD: Actually, it’s closer to 80. MAGNET: I remember reading somewhere that you said a couple of years ago someone played you a song of yours that you didn’t even recognize. It wasn’t even that old of a song. Like, from 2003 or something. This entry was posted on Wednesday, July 3rd, 2013	at 3:19 pm	and is filed under News	. Responses are currently closed, but you can trackback from your own site.